The Gold Winged Skull Ring is now available, you may recognise it from our most recent Sterling Collection, but a little bit more Gold. The Gold Winged Skull Ring is one of our latest adjustable options to become available, opening and closing to fit your very own ring size! The Silver Winged Skull Ring was one of the favourites from the whole Sterling Collection so we thought why not expand on it and offer an option for all you Gold lovers out there! A perfect ring to wear alongside most, however, pair this our most recent Pinky ring for a VIBEY duo. Halloween is one day loved by most as they get to dress up as crazy as they wish without any questions asked and we thought why not treat you all on this special day with two new designs one recognisable and one very new! Wipe Clean With A Damp Cloth, or for further care information, head over to our Terms & Conditions page. Avoid wearing it while exercising, as sweat can take off the coatings. We also advise you to avoid wearing it in the shower and getting it wet in general. 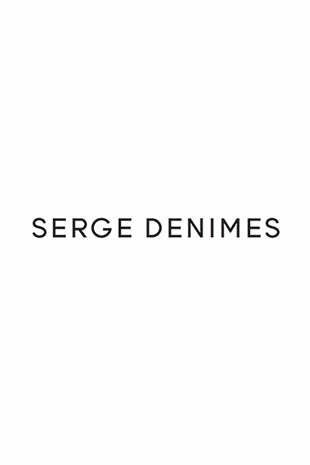 Once you are done wearing your jewellery for the day, place it back in its Serge DeNimes velvet bag to protect it, ready to wear again the next day.